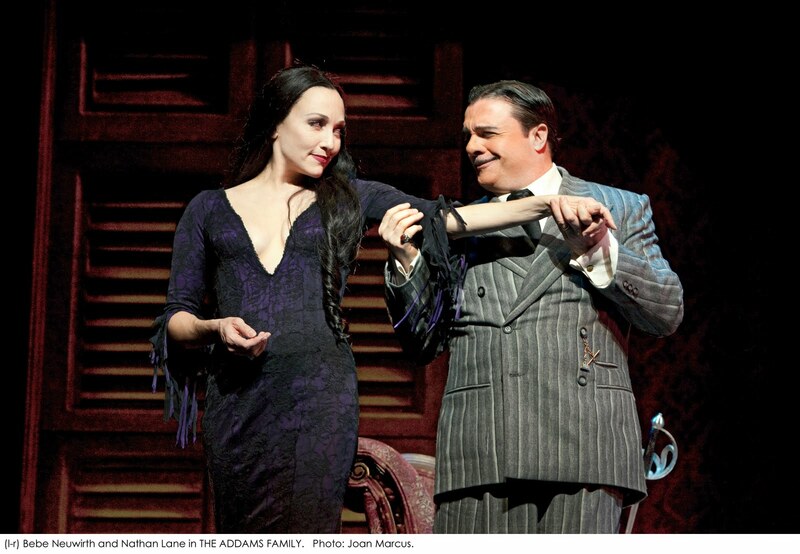 In light of positively gleeful naysaying about this show’s future prospects during its Chicago tryout – and a puzzling preponderance of lukewarm reviews here in New York – it was more than a little surprising to find “The Addams Family” a funny, tuneful, and consistently pleasurable experience. So, though it may seem the height of obstinacy to voice an opinion at such odds with the critical consensus, allow me to side firmly with those cheering, happy audience members around me, and heartily endorse the show. Nathan Lane and Bebe Neuwirth head a marvelous cast, and Phelim McDermott and Julian Crouch’s handsome and stylish production design and direction (doctored by Jerry Zaks) is of the Broadway-at-its-best variety. Though the storyline – as written by Marshall Brickman and Rick Elice – is, on the face of it, unremarkable, the dialogue is so amusing and the attitude so on target – the plot on which everything hangs scarcely matters. The much-loved Charles Addams characters – Gomez and Morticia and their children Wednesday (Krysta Rodriguez) and Pugsley (Adam Riegler) – live in a decrepit mansion in the middle of Central Park with their zombie-like butler Lurch (Zachary James), Uncle Feester (Kevin Chamerlain) and 60’s flower child Grandma (Jackie Hoffman), not to mention a host of ghostly resurrected ancestors (shades of Gilbert & Sullivan’s “Ruddigore”). Wednesday has fallen in love with average boy Lucas (Wesley Taylor) from Ohio, and she’s invited him and his straight-laced parents Alice (Carolee Carmello) and Mal (Terrence Mann) to meet the folks whom she’s enjoined to be on their best behavior. This is one of Lane’s very best stage turns, on a par with his most memorable work. He and the perfectly cast Neuwirth play with just the right deadpan sincerity as they espouse the family’s preference for morbidity, tragedy and disaster. At one point, they fret that Wednesday has actually been acting bubbly and (horrors!) optimistic! Hoffman is a hoot as the Woodstock-loving Grandma and some of the edgiest lines are hers. Chamberlain is an endearing Feester, with an improbable crush on the moon. His second act charmer, “The Moon and Me,” where he rises off the ground floats among the stars, and comes to rest on a giant moon ball is a standout. Andrew Lippa's songs are satisfyingly tuneful, starting with the opening number, “When You’re an Addams.” Rodriguez gets the most contemporary sounding ballads amidst a score that otherwise pays homage to old-fashioned Broadway and vaudeville, the bouncy quartet “Let’s Not Talk About Anything Else But Love” and Gomez’s sentimental “Happy/Sad,” being two cases in point. McDermott and Crouch’s set, wonderfully framed by a versatile red velvet curtain and beautifully lit by Natasha Katz, seamlessly transitions from entrance hall to basement to library to park. And kudos to Acme Sound Partners’ sound design for being so exceptionally clear and natural. There’s a clever use of puppetry, courtesy of Basil Twist – an animated curtain tassel, a giant lizard, a squid’s tail – and so forth which adds to the fun. Sergio Trujillo’s unobtrusively classy choreography climaxes in an elaborate tango for Neuwirth and Lane, “Tango de Amor,” which gives Neuwirth her best musical moment. 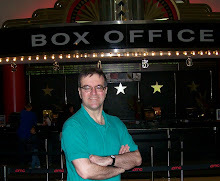 The audience – including a good many appreciative youngsters in the mezzanine – was gratifyingly enthusiastic. “Troubled” as the show may have been out-of-town, I’d say the kinks would appear to have been neatly ironed out. Isn’t that what “out of town” is for? Leave any preconceptions behind, and you’re sure to have very enjoyable time indeed.